Now that we’ve begun to feel the bitter bite of the British winter, we at Apache thought we’d “wrap” up the best of our outerwear collection for Autumn and Winter 2013/14. This article features our pick of the best mens winter coats and jackets online and in store, from quilted to parkas, and woolly to waterproof. But what style will you be wearing? First off, we revisit a classic style with this black Zip Flying bomber flight jacket by Schott NYC. 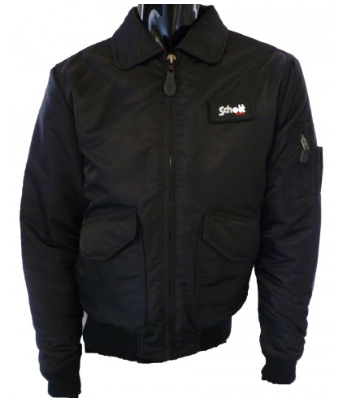 The design from Schott is crafted from 100% thick nylon, ideal for the cold weather. It’s trimmed at the cuffs and waistband with ribbed jersey material, all the while bearing a standard collar and Schott logo on the chest. This winter coat also fastens with a chunky zipper to retain that authentic signature style of the bomber jacket. Now on sale at £125. You can shop the Schott NYC range of winter coats right here. Next up is the pucka parka. Apache are offering outerwear, again, from the famous New York brand, Schott. Take a look at this Denver fur hooded Parka. It has padded cotton mix materials with a fur lined hood and versatile design features to help cover up for the extreme cold. The oversized hood comes with a detachable faux fur detail, two large front pockets and an embroidered badge logo on the sleeve. Adding to our selection of Parkas is the Fishtail Parka Jacket by Fred Perry, who pride themselves on clothing design and superior quality. 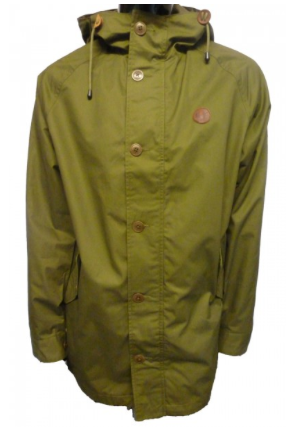 This Fishtail Parka jacket is an iconic piece from mod British culture. The all-time fashion favourite and original parka has styled a thousand indie bands and album covers. It comes constructed with an adjustable drawstring toggle at the hood and waist to adjust the size and length for preferred fit, buttoned-up fastening, complete with the iconic Fred Perry Laurel Wreath emblem, which is embroidered at the chest. What’s also adjustable, is the two-snap button feature on the rear fishtail design, allowing you to create a straight hem and tailored look if you so desire. The Fred Perry Parka comes in a Dark Olive green and a Dark Carbon navy. 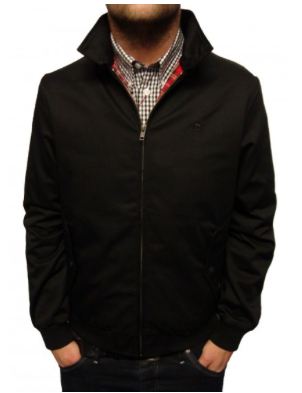 Following up on British mod style, is the Harrington Zip Jacket by Merc. Made for the new school mod, this lightweight jacket for men incorporates some traditional styling details. It has soft ribbed cuffs, button down flap pockets and comes beautifully lined with a resolutely British red tartan fabric. Worn open or closed, this classic zip up winter jacket blends perfectly with jeans and a t-shirt or polo. The Harrington jacket comes in range of colours from black, cream, red, green or navy …take your pick! Lastly, Duck and Cover’s super cosy, padded Foster V2 coat for men has caught our eye with its multi pocket design and elbow patches. The quilted puff finish of this winter coat ensures warmth, comfort and style, therefore making it a winter wardrobe essential. The Duck and Cover V2 winter coat comes in two tonal colours; a deep navy or cigar brown. Whatever your style, we’ve got it covered, both online and in store at Apache, UK. Love the Fred Perry parka!